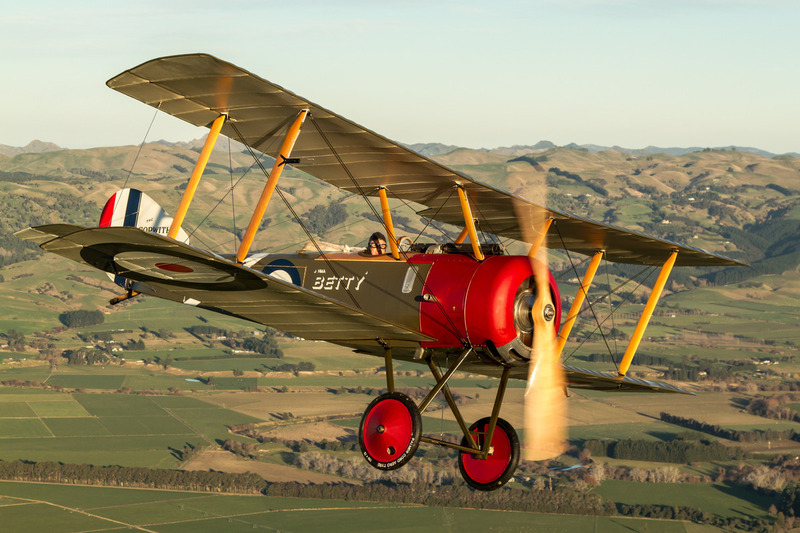 "The Sopwith Pups short frontline service history owed more to the impressive pace of aircraft development at the time than to any defect in design. In fact, finding a pilots report that does not praise the delightful handling qualities of this popular little aeroplane is almost impossible." Sensitive on control and fully aerobatic up to 15,000ft, the Pups performance at altitude excelled. It was a tribute to the Pups design that its excellent performance was achieved on the relatively low horse-power of the standard 80-hp Le Rhone rotary. Although under-armed with only one machine gun it was so light and manoeuvrable it was said a good pilot could turn twice to an Albatros once. Major James McCuden so praised the Pups harmonious handling characteristics and light wing loading he said "...a practised pilot could almost land it on a tennis court.” The R.N.A.S. presumably thought so too when in early August 1917 under the hands of Squadron Commander E.H. Dunning the Sopwith Pup pioneered carrier landings to became the first aircraft to land aboard a moving carrier ship, the HMS FURIOUS. 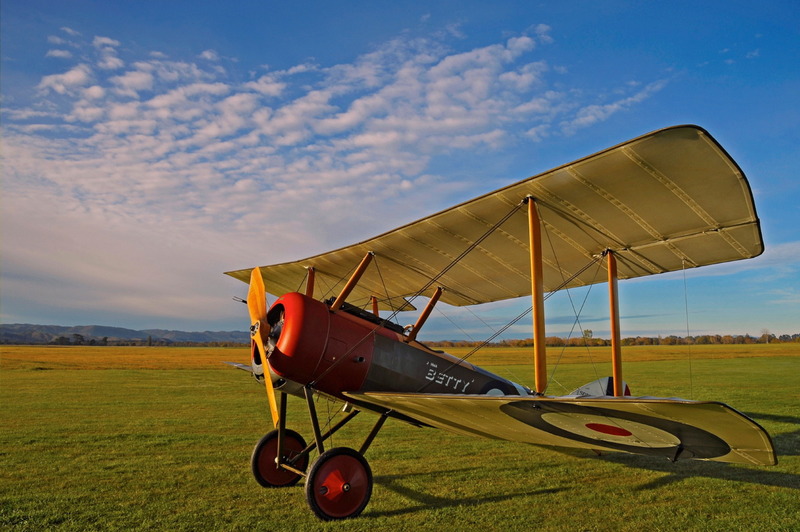 The unofficial name ‘Pup’ was derived from the aircrafts similarity to its predecessor, the Sopwith 1 1/2 Strutter. Looking much like a smaller sibling or ‘pup’ the nickname caught on despite widespread measures by authorities to refer to the aircraft’s official designation ‘Sopwith type 9901’. The Pup set a presecendent with all later Sopwith types apart from the Triplane acquiring names of mammals or birds, Sopwith being said to have created a ‘flying zoo’ during WWI. In general construction and configuration the Pup was a classic of simplicity. A typical fabric covered wooden frame single seat bi-plane from Chief Designer Herbert Smith. The wings, each with ailerons were of equal span and had raked tips. The Pup featured a large cut-out in the trailing edge of the centre-section top wing allowing improved pilot visibility. Its light weight and generous wing gave it a good rate of climb with manoeuvrability enhanced by installing ailerons on both wings. 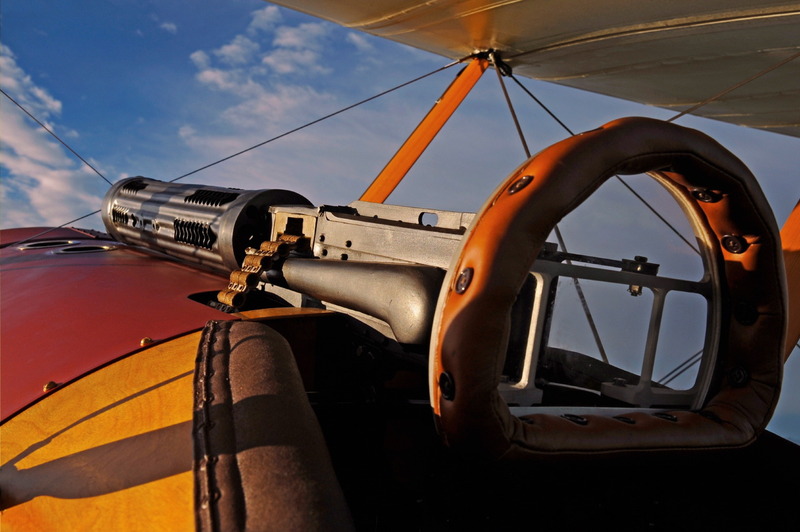 Standard armament was a single Vickers 0.303 machine gun mounted on top of the fuselage in front of the pilot, synchronised by the Sopwith Kauper mechanical interrupter gear. Additionally some Pups were also armed with a Lewis machine gun mounted above the upper wing centre section however this configuration remained experimental and never became standard. For anti-Zeppelin duties, some Pups were fitted with Le Prieur rockets, these were mounted on the interplane struts with 4 rockets being carried on each wing. To aid in aiming the rockets, transparent panels were incorporated into the upper wing centre- section. The Pup entered quickly into service equipping four R.N.A.S. squadrons and three .RF.C. squadrons at the peak of its operational development in autumn of 1916. Sopwith however, still heavily engaged in production of 1 ½ Strutters were unable to fill the large orders placed by the R.F.C. and R.N.A.S. 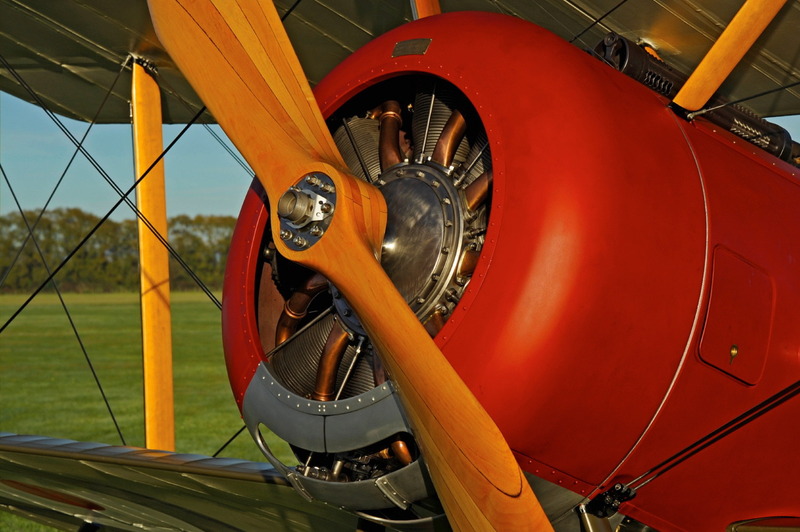 Consequently orders were undertaken by sub-contractors, Standard Motor Co., ( 850 ) Whitehead Aircraft Co., (820), with Sopwith Aviation Co., building ( 96 ) and William Beardmore and Co., ( 30) numbering a total of 1770 built. The aircraft quickly established an impressive reputation against the German Fokker D.II, Halberstadt D.II and Albatros D.II’s. By the end of that same year pilots of one R.N.A.S. squadron ( 8N) had scored 20 victories in the type. During the great infantry battles of Ypres, Messines and Cambrai, the Pup was used with great success, being one of the few British types with a performance equal to that of the contemporary German Albatros. After encountering a Pup in combat, Manfred von Richthofen said, “.....I at once saw the enemy aircraft was superior to ours”. The Pup was used as a ship board fighter by the R.N.A.S., operating not only from aircraft carriers, but also off platforms fitted to light cruisers. A number of Pups were fitted with skid undercarriages instead of wheels for shipboard use and re-designated the Sopwith 9901a. A small number of these were used in catapult trials, others used in early experimentation with floatation bags and a drop-able undercarriage able to be jettisoned prior to ditching the aircraft at sea. Altogether Pups were carried by 5 aircraft carriers and 7 Royal Navy cruisers during WWI. The impressive surge of aircraft development by both sides meant the Sopwith Pup’s operational success was short and sweet. By spring 1917, the Pup was already outclassed by the newest German fighters sporting improved performance and increased firepower.Sopwith itself was re-arming, initially with Triplanes, then the more formidable Sopwith Camel. Although retired relatively quickly from the Western Front conflict, the Pup was far from finished in Squadron service. Large numbers were transferred to training establishments, where their qualities made them extremely popular. From July 1917 Pups served with three R.F.C. and five R.N.A.S. Home Defence squadrons, many being fitted with the 100hp Gnome Monosoupape to improve performance; however, these Pups had neither the range nor altitude to deal satisfactorily with attacking German bombers. After the war, the Pup disappeared from the British scene. Only 8 found their way to the civil register, all of which had disappeared by 1924. Eleven were supplied to the Royal Australian Air Force in 1919 and small numbers went to United States, Greece, the Netherlands and Russia. The Vintage Aviator Ltd Sopwith Pup ‘Betty’ is the colour scheme of FSLt J.S.T Fall. A Sopwith built R.N.A.S. Pup N6205 operating April – May 1917. 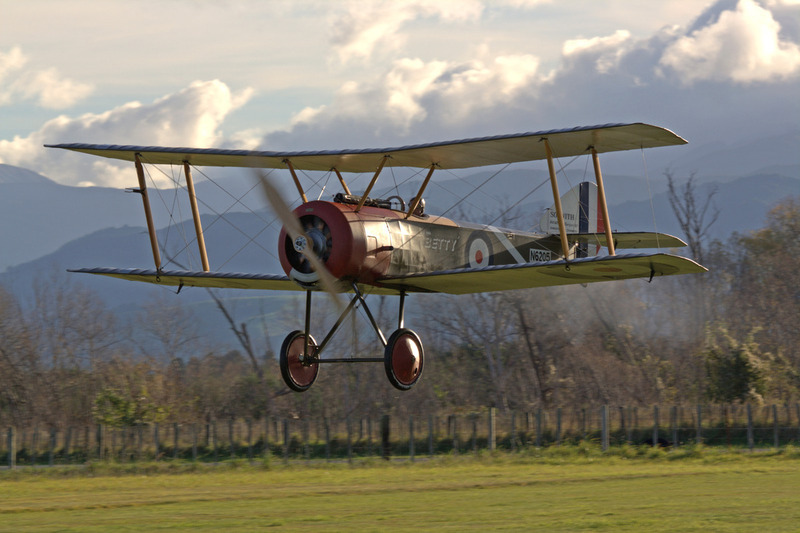 Image gallery of the Sopwith Pup in flight.